Do you want to move a blog from one blogger account to another?. The short answer is that you can do this by making the blog in question a team blog, with two members, then removing the original team member. Sign in to Blogger with Account 1, which we'll assume is the account containing the blog. Go to the Settings | Permissions tab. Click the Add Authors button and send an invitation to the owner of Account 2, the account to which you'd like to move the blog. Wait for the owner of Account 2 to accept the invitation. If you're sharing a computer, you'll need to sign out of Account 1 first, or each use a different browser. Once Account 2 has joined the blog, Account 1 can log in again and go back to the Settings | Permissions tab. Click the grant admin privileges link next to Account 2. Click the remove link next to Account 1. You'll still see any posts made on the blog by Account 1 with Account 1's display name. Account 2 can delete and repost these posts if they'd like to change the display name. Account 1 cannot be removed until Account 2 has admin rights, since every blog must have at least one admin member at all times. Photos uploaded with Account 1 will break if that account is deleted. If you want your old photos to display after adding Account 2, you'll have to leave Account 1 active. 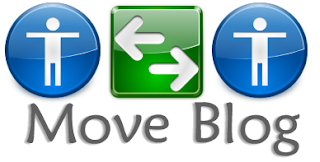 Get free information related to "How To Move a Blog Between Blogger Accounts".